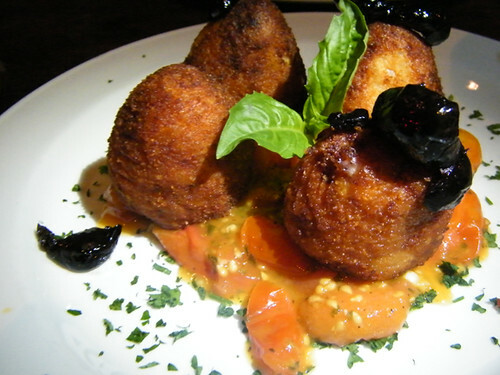 Arancini, Risotto Balls with cherry tomatoes and olives. Bucatini all’Amatriciana, pasta, onions, tomato sauce, olive oil and pecorino cheese. 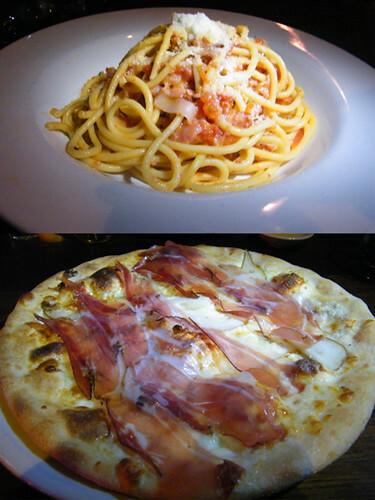 Note: Bucatini is a long, hollow pasta (and my favorite). C’t Mang Pizza, a white pizza with fresh pears, mozzarella, gorgonzola, walnuts and speck (smoked prosciutto). I know it sounds a little strange, but it’s delicious! Looks so yummy, I would love to try it! !